Mistakes were made today. Alessandro and I ran about like headless chickens from morning till evening, and every time we bumped into each other, we commented on how tired we were. 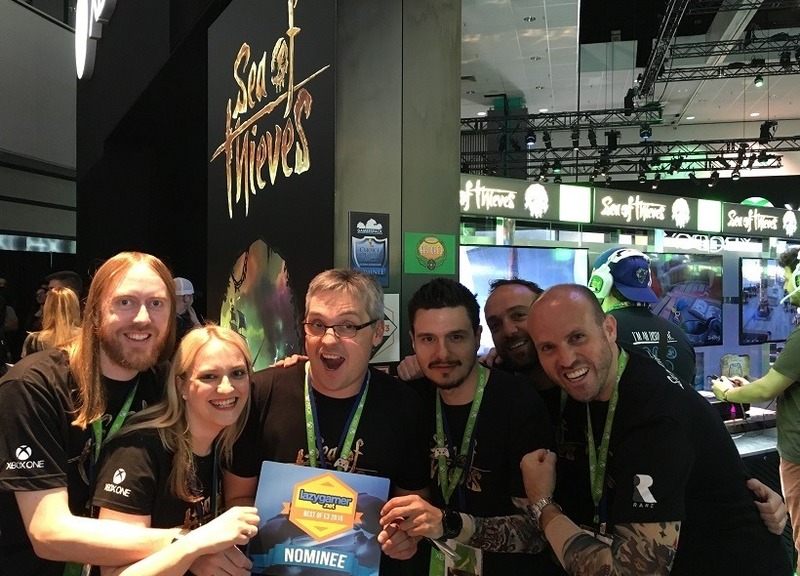 Yet, when the doors of E3 closed, instead of heading back to basecamp to get cracking (and grab a reasonably early night), we chose to rush off to a Ubisoft party because REASONS. Now, here we are back at murder motel, more exhausted than ever. I was going to climb straight into bed, but then I remembered Geoff back home, waiting to welcome me back with open arms so he can destroy me if I slack for so much as a single second. So here I am, at a desk for ants (with a thoughtful Wookiee sitting in front of me I might add), typing furiously. Alessandro meanwhile, is on the bed, slumping lower into the sheets with each second. Will he get his articles done before he falls into a deep slumber? Tune in after this video to find out! Oh my, he’s still typing! Now that’s dedication. Anyways, if you missed our video for whatever reason, I’ll give you a quick rundown. Alessandro’s highlight was the new Legend of Zelda game. He spent a good portion today running back and forth from the Nintendo stand to get an appointment. He finally succeeded, right at the end of the day, and got hands on time with the newly announced (and now highly anticipated) title. Alessandro also got to meet Cliffy B. HOT DAMN! My day on the other hand, was frustrating. Appointments weren’t scheduled correctly, meaning I missed out on some stuff. For example, I was meant to get hands on time with Horizon Zero Dawn, but sadly, I got nothing. Thankfully, I did get to see some behind closed doors stuff regardless, and I even got some good hands-on time with PlayStation VR, which made me really happy. 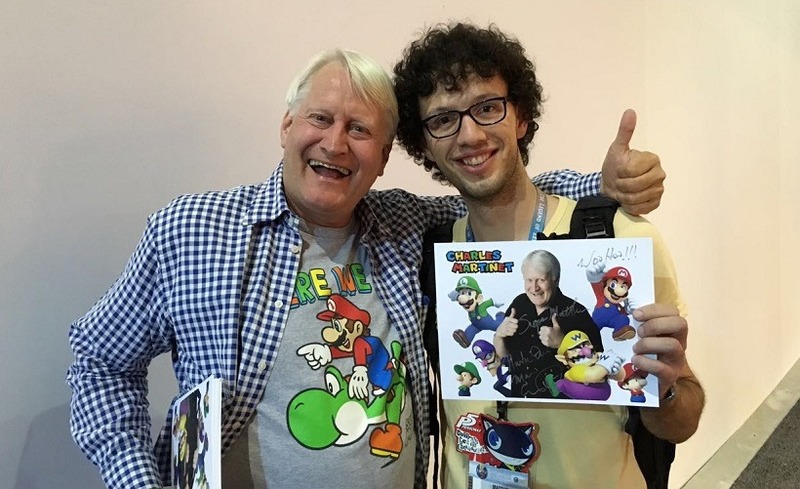 What made me even happier was that I got to meet Charles Martinet – the voice of Mario. Alessandro and I (and our fellow Wookiee) were walking past a quiet part of the Nintendo stand, and there he was, not surrounded by millions of people, signing autographs. Needless to say, we lined up for our own. And yeah, that’s day 2 of E3 in a nutshell really. Today is the last part of E3, and again, we have lots to do. I can’t tell you how much I miss having a full night of sleep. I’m so happy to be here though – I’d come back any day! 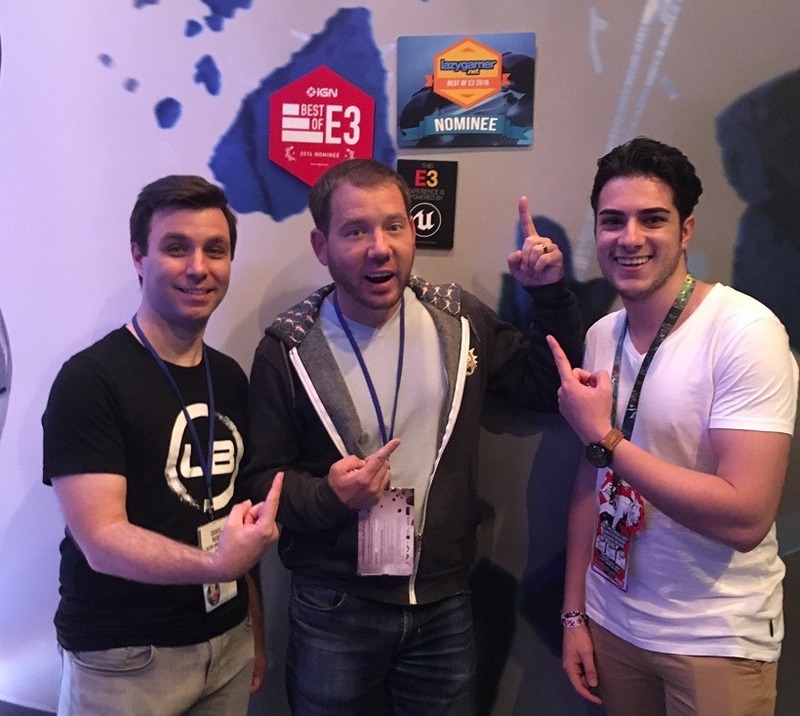 And again, a huge thank you to Call of Duty: Infinite Warfare, Ghost Recon Wildlands and Sony PlayStation for getting us to E3.